Steven “Laser” Haas is the owner and sole shareholder of Collateral Logistics Inc. (CLI) the firm which was retained to oversee the liquidation of assets in the bankruptcy of eToys in 2001. During the process of liquidating the company Haas came across irregularities, unethical practices and outright criminal acts originating from the top at Bain Capital (Mitt Romney’s asset management firm), Goldman Sachs, Kay Bee Toys and Stage Stores, all of which were involved in the machinations to sell eToys for mere pennies to Bain through its interest in Kay Bee. Haas filed his suit under a provision of the RICO (Racketeer Influenced and Corrupt Organizations) statute which allows a plaintiff to become a “Private Attorney General” when it is necessary in order to address “Prosecutorial Gaps.” According to Haas, that gap was created by Colm F. Connolly, former United States Attorney in Delaware who had been a partner in the law firm of Morris, Nichols, Arsht & Tunnell (MNAT) in 2001, alleging he had failed to disclose that fact while also neglecting to investigate the complaints which Haas had lodged. 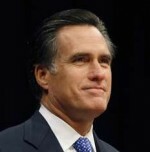 Along with Romney, Haas has named Goldman Sachs, Bain Capital, Michael Glazer Barry Gold and Paul Traub in the suit. Haas has claimed that he has evidence that the parties involved have committed perjury on 35 separate occasions — even alleging that there have been murders carried out in attempts to cover up their wrong doing. His $100 million suit is intended to recover some of the losses incurred by the victims of the unethical and illegal actions of those involved in the chicanery and who reaped handsome profits from the deal. Haas alleged in his affidavit to the Securities and Exchange Commission on August 3, 2012 that after he had uncovered numerous irregularities, he had been offered $850,000 by Bain to keep silent about what he had discovered. When he attempted to report the bribe, he was told that since he had not accepted it, he didn’t have a case. Bain of course denies that the offer was ever made. Request for a Court Order to have U.S. Marshals serve the summons. First amended complaint Part 1. Part 2. Part 3. Haas’s preliminary RICO case statement. If Haas’ list of charges prove to be backed up by the evidence, this could be one of the most interesting civil trials in recent years. No matter the outcome, there is little question that just having this case make it into court will stain the reputations of all involved permanently, including squeaky clean Mitt Romney — the man whose moral convictions run so deep that he will not even drink coffee or coke because they contain caffeine.